What makes a word buzz? You hear all kinds of new words being thrown around these days, but where do they come from and why are people using buzzwords? 1. Relevancy – Most buzzwords become hip for the simple reason that they are relevant to the times. Remember Y2K? Throw a buzzword into ANY or EVERY conversation you have and nobody will argue it. People will remember it and use it themselves. 2. Contagiousness – Buzzwords are fun to use, they’re easy to say, and often spread like wildfire. Buzzwords can be heard everywhere these days- in the news, on TV, on the internet, and more recently from Advertisements. Politicians drop buzzwords on the public too; in 2008 we heard about to avoid pork-barrel spending, or earmarks. 3. Meaning – New words give new thought, which is the whole idea behind using them. In 2008 it was all about going “green“, and how we can reduce our carbon-footprint, and become more eco-friendly. The words are out there for anyone to use; they help corral thought and give direction. Thought-provoking buzzwords can come from just about anywhere these days. Companies like Budweiser that invest heavily in market research can afford to make up words. 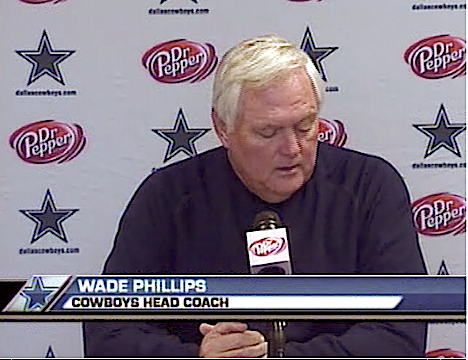 Just look at the new drinkabilty ads for Bud Light. Now, what are your favorite buzzwords? BK dropping money from the sky. If you live anywhere near Chicago or Miami, watch where your walking. 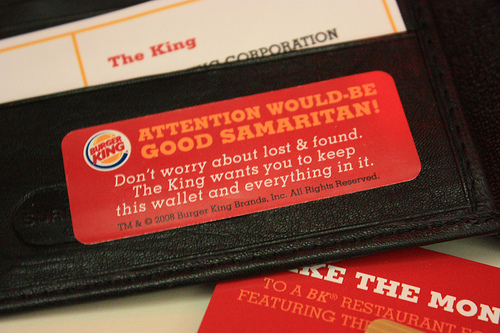 Burger King has launched a fall viral campaign that involves leaving over 5,000 wallets on the streets or at hot-spots. The wallets containing actual money (ranging from $1 to $100) and BK gift-cards (ranging from $5-$20), are an attempt to lead visitors to local stores and get people talking. 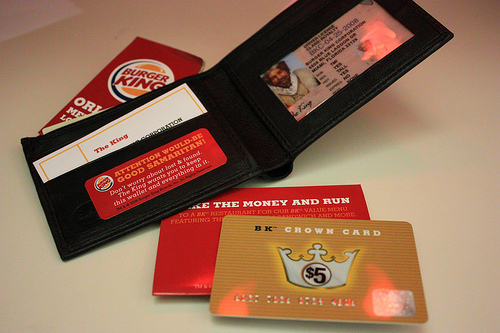 In addition to the cash the faux leather wallet also comes along with business cards from ‘the king’, local burger king location maps, and a fake drivers license for “the king”. GE Finanial did a similar promotion back in 2000 with a similar campaign that made 1 in 5 lost wallets found a winner. Great strategy, good timing, and proving yet again going viral works! BK must’ve learned something from their subservient chicken campaign. Chicken Mask Really?!?! Click here for the .PDF file, did the really expect people to wear this thing? interesting stuff nonetheless, thanks to ted.me for the photos! This piece was done by Mike Long at Epoch Films. Epoch Films is responsible for dozens of creative TV spots, including some of my own recent favs: the Old Spice awkwardly funny locker room moments, and contributions to AT&T’s fewer dropped calls campaign. I suppose this spot became controversial after winning a Cannes Lions 2008 Film Bronze award, JCP should definitely consider picking this one up. Isn’t it time for old brands to start taking chances again anyway? Image is still important, but so is action and last I looked the JCPenny brand was collecting dust.